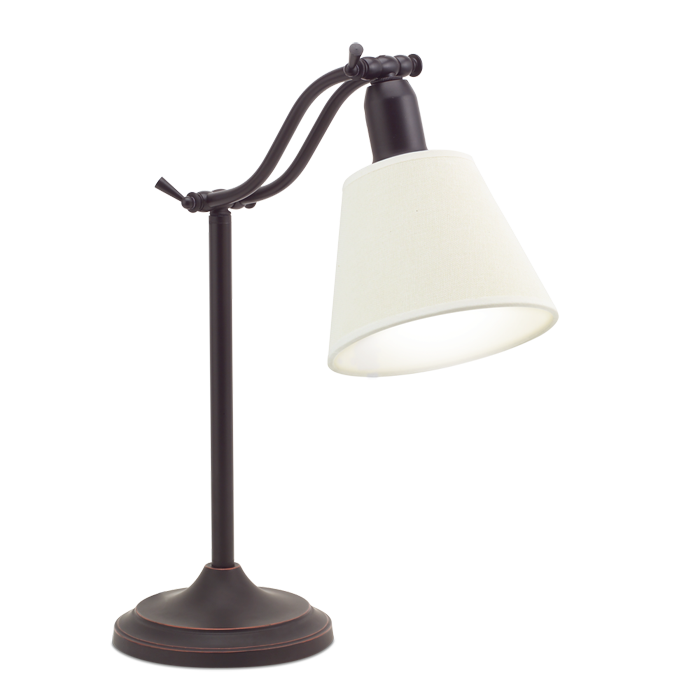 The Marietta Table Lamp is crafted in steel with antiqued bronze finish and off-white fabric shade, which makes it a beautiful addition to your home as a bed lamp, desk light, or living room lamp. 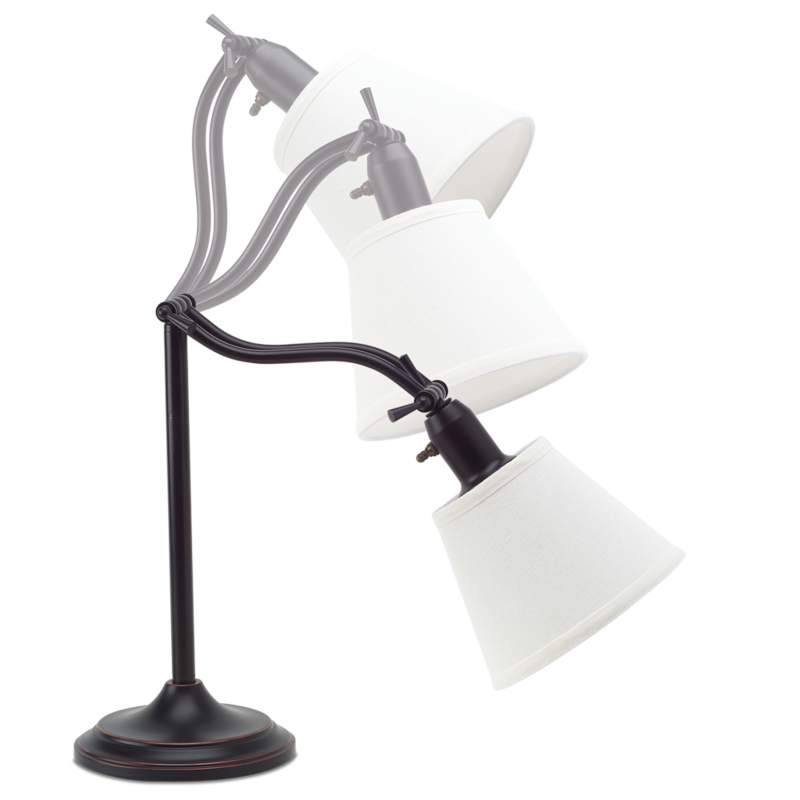 Beautiful vintage design features turn keys at shaft and shade to adjust height. 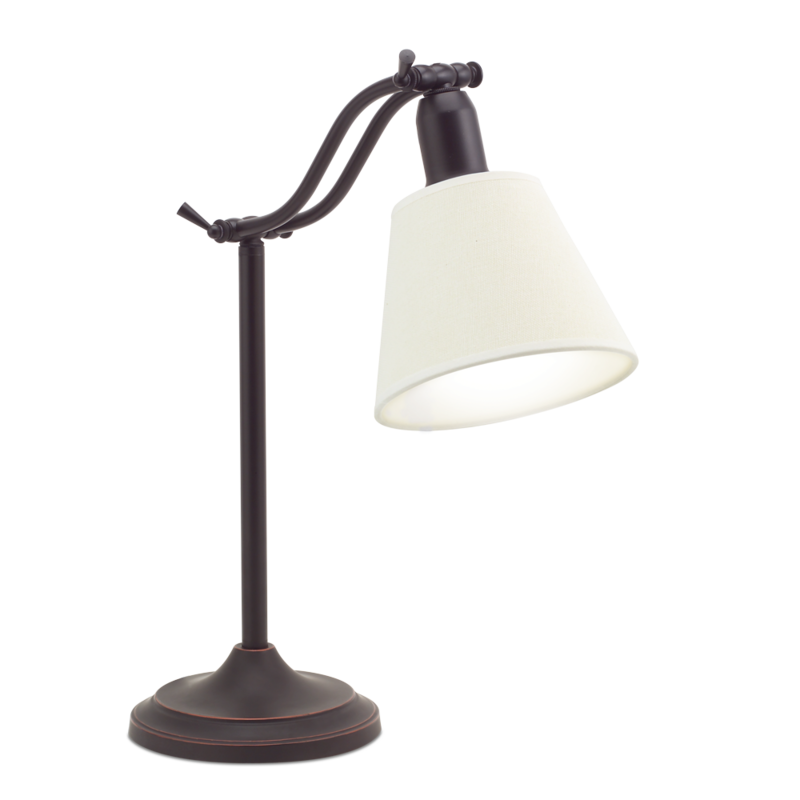 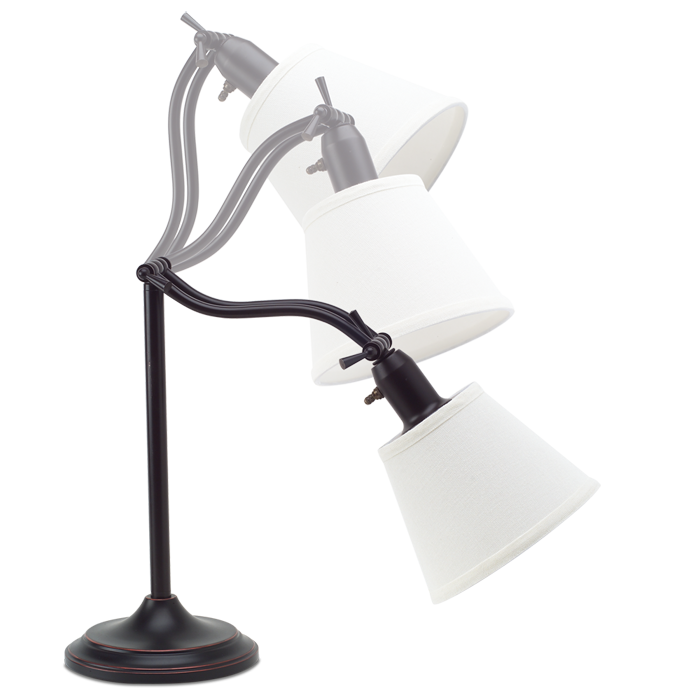 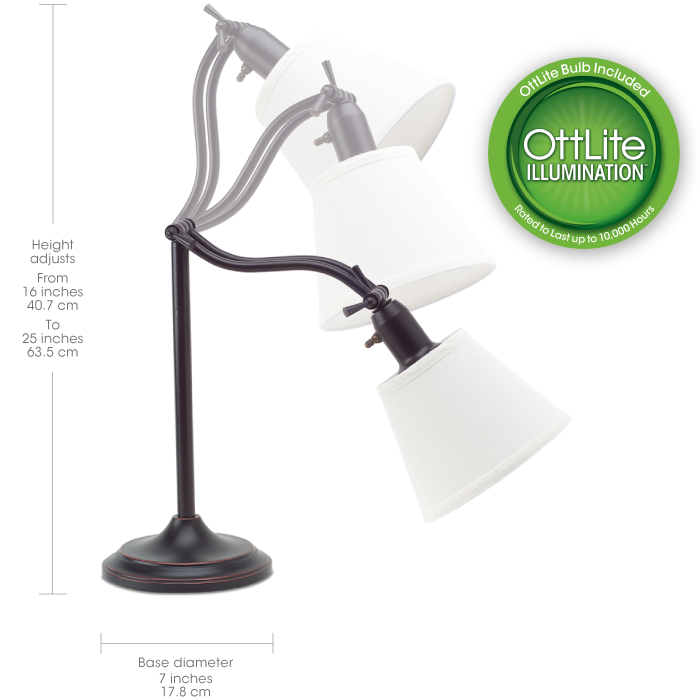 Graceful curved arm extends over reading materials delivering low heat, low glare natural OttLite illumination.